If you’re looking for proof that an agreement was made, it’s usually demonstrated by a meeting of the minds — in your case, a definite offer to create the sites followed by an unqualified acceptance. We can’t tell whether that occurred here but that’s the first step in a contract analysis. You need to look at the information exchanged prior to your counterpart’s instruction to “proceed with construction.” If it’s clear that the terms were agreed upon, you might have formed a contract — that is, the email response may have resulted in an electronic agreement. If that’s the case, you need to review the terms. The more definite the terms, the more likely an agreement was formed. Another issue to consider is whether your counterpart had apparent authority to make the agreement. Real life. Most website developers, operating in good faith, would have simply terminated rather than attempt to make your company participate in an agreement that was entered into regrettably and half-heartedly. 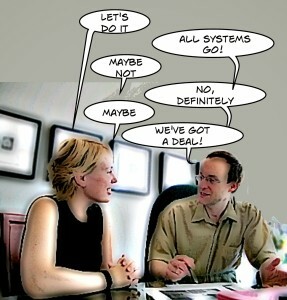 Based on this behavior and the high pressure sales tactics, you may want to see an attorney to determine your options. In any case, it’s best not to make any payments until things are sorted out. If things went to court. Whether you’ll be chased for payment depends on many factors including the language of the contract, where the parties are located (are the parties in different states? ), and most importantly, what’s the damage? A non-breaching party (the website developer) still has an obligation to limit damages and in this case, it may be determined that the most that might be claimed — absent contrary contract language — is payment for the four hours of work between your counterpart’s two emails. As for the “unreasonable pressure” placed upon your counterpart, that’s not likely a worthwhile defense. It’s true that if one party unfairly pressured the other, or one party lied, then the goal of the contract has been “frustrated.” In this situation, the injured party can void the contract (“known as avoidance”). But duress requires physical or mental coercion usually in the form of threats or force. 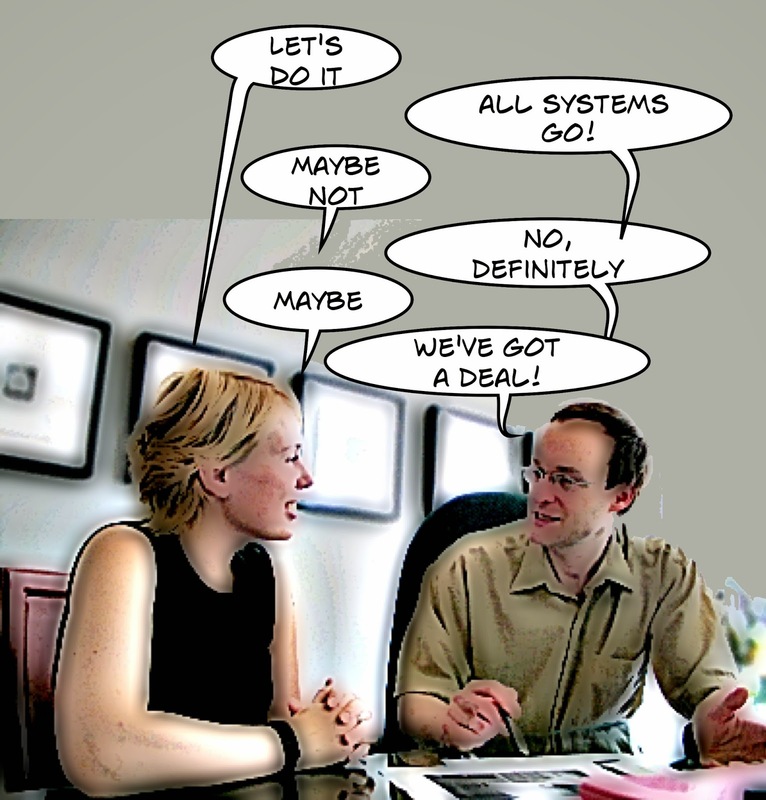 High pressure business-to-business sales tactics are unlikely to be considered coercion. Recording Donald Sterling’s Racist Comments: A Crime?